Can the White House Reduce the Cost of College by Using Big Data? A proposed ranking system would leverage Big Data to inform students about graduation rates and value. President Barack Obama’s recent announcement about education reform targeted tuition as a key issue and offered technology, specifically data, as a way to address the rising cost of college. “Higher education should not be a luxury. It is an economic imperative that every family in America should be able to afford,” he explained to a group of supporters at the University of Buffalo. 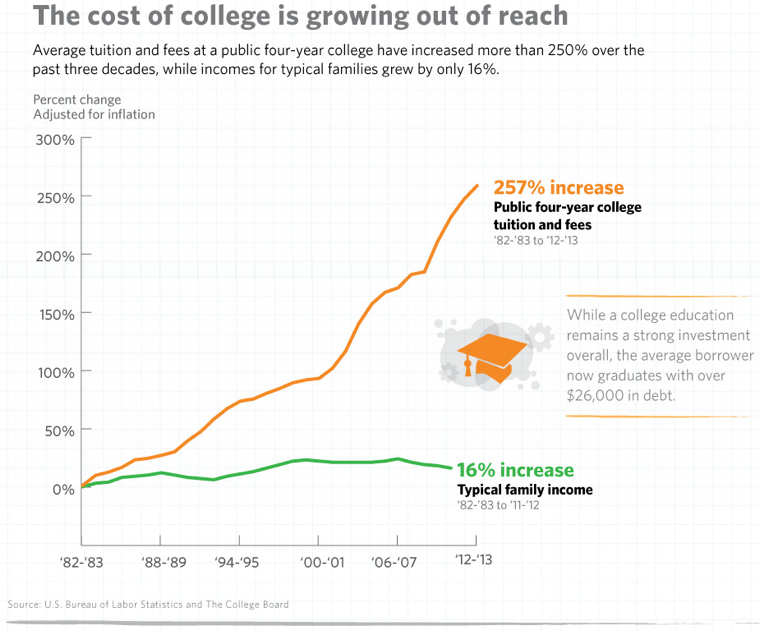 The cost of college is growing faster than some students can keep up. Northern Illinois University reports that the “cost of tuition at public four-year colleges is up 27 percent over the past five years.” So what, exactly, did the White House propose in order to address this pressing issue? President Obama also made it clear that schools that consistently rank well will receive more public funding than schools that don’t do well. According to the White House, “Nearly $150 billion in federal financial aid is allocated to colleges yearly based on the number of students they enroll, not the number who earn degrees.” Under the new plan, which is set to begin in 2015, colleges that rank well in the new scoring system and improve graduation rates will be given priority when it comes to taxpayer dollars. How Accurate Will the Rating System Be? What initially seems like a simple data set soon appears to be extraordinarily complex. The effect on schools that rank poorly is significant, which is why the data and the process for analysis must be transparent. Is two years enough time to put together a system for collecting, processing and publishing accurate data? These are the same questions that IT professionals are already asking about other data sets, although the White House is working on a much larger scale. Is data the answer to reducing the cost of college? Is this measure strong enough to have an impact? Let us know in the Comments section.